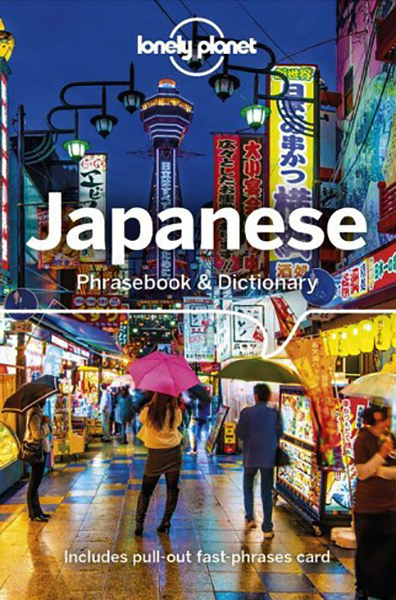 Lonely Planet Japanese Phrasebook & Dictionary is your handy passport to culturally enriching travels with the most relevant and useful Japanese phrases and vocabulary for all your travel needs. Get to know your sushi from your sake, enjoy an elaborate tea ceremony with its centuries'-old conventions, and find your way elaborate transit maps; all with your trusted travel companion. With language tools in your back pocket, you can truly get to the heart of wherever you go, so begin your journey now!Get More From Your Trip with Easy-to-Find Phrases for Every Travel Situation! Feel at ease with essential tips on culture, manners, idioms and multiple meanings Order with confidence, explain food allergies, and try new foods with the menu decoder Save time and hassles with vital phrases at your fingertips Never get stuck for words with the 3500-word two-way, quick-reference dictionary Be prepared for both common and emergency travel situations with practical phrases and terminology Meet friends with conversation starter phrases Get your message across with easy-to-use pronunciation guides Inside Lonely Planet Japanese Phrasebook & Dictionary: Full-colour throughout User-friendly layout organised by travel scenario categories Survival phrases inside front cover for at-a-glance on-the-fly cuesCovers Basics - time, dates, numbers, amounts, pronunciation, reading tips, grammar rules Practical - travel with kids, disabled travellers, sightseeing, business, banking, post office, internet, phones, repairs, bargaining, accommodations, directions, border crossing, transport Social - meeting people, interests, feelings, opinions, going out, romance, culture, activities, weather Safe Travel - emergencies, police, doctor, chemist, dentist, symptoms, conditions Food - ordering, at the market, at the bar, dishes, ingredients The Perfect Choice: Lonely Planet Japanese Phrasebook & Dictionary, a pocket-sized comprehensive language guide, provides on-the-go language assistance; great for language students and travellers looking to interact with locals and immerse themselves in local culture.